Wang YH et al. DNA damage causes rapid accumulation of phosphoinositides for ATR signaling. Nature Communications. 2017. 8. 2118. doi:10.1038/s41467-017-01805-9. Figure: IPMK-phosphorylated SF1-PIP3 recruits formins that facilitate nuclear actin filament assembly at DNA damage sites. Nuclear actin filaments mediate the recruitment of DNA repair protein ATR to damage sites, where ATR activates DNA repair pathways such as nucleotide excision repair and homologous recombination repair. The study describes a novel role for nuclear phosphoinositide (PPI) lipids in regulating the recruitment of ATR DNA repair pathway proteins to damage sites. Within a second of DNA damage induced by radiations, PIP2 accumulates at damage sites. PIP2, which is in complex with SF1, is specifically phosphorylated by IPMK to PIP3. PIP3-SF1 is responsible for formin-mediated nuclear actin filament assembly that helps in DNA damage clearance by recruiting the ATR repair pathway proteins to damage sites. How is the recruitment of ATR to DNA damage sites mechanically regulated? Actin filaments are highly dynamic and their polymerization is usually correlated to their disassembly. 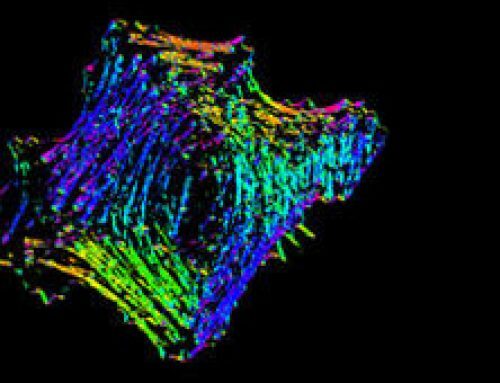 Generally, actin filament polymerization occurs over three phases: nucleation, elongation, and steady state phases. 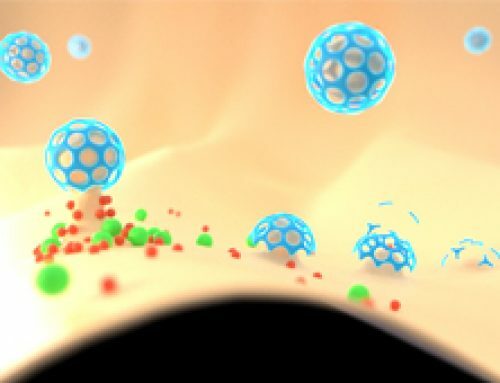 During the nucleation phase, the formation of a stable nucleus occurs. This is usually comprised of three actin monomers in complex. In the elongation phase, monomers are rapidly added to the filament at the (+ve) or barbed end and this is often facilitated by additional elongation factors such as formin. As DNA unwinding and DNA synthesis progresses, the DNA ahead of the replication fork becomes overwound or positively supercoiled. This creates superhelical tension which is usually resolved by enzymes known as topoisomerases. However, the super helical tension is higher in longer chromosomes and in regions of the chromatin tethered to the nuclear envelope. It is now evident that the torsional stress from the replication forks impinge on the nuclear envelope in the form of mechanical signals that recruit ATR, a DNA damage checkpoint protein, independent of its role in DNA repair. ATR may then enable transient detachment of chromatin from the nuclear envelope, thus allowing for the completion of replication. ATR is also recruited during prophase to resolve the topological stress arising from chromatin condensation and is required for coordinating DNA replication and chromatin condensation. Three main types of phosphoinositides- PIP, PIP2, and PIP3- have important roles in intracellular signaling, lipid signaling, and membrane trafficking; these phosphoinositides differ solely in the number of phosphate groups that are attached by phosphoinositol kinases to their inositol rings. Increased levels of PIP in the plasma membrane greatly reduces the F-actin binding and depolymerizing activity of ADF (actin depolymerizing factor). 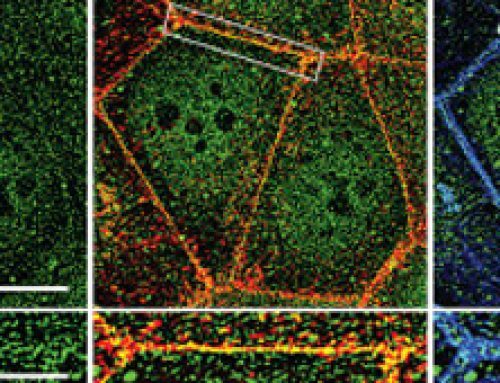 Increased levels of PIP2 in the plasma membrane inhibits actin filament capping by capping protein and greatly reduces the F-actin binding and depolymerizing activity of ADF. Phosphatidylinositol-3-kinase (PI3K) and PTEN (Phosphatase and tensin homolog) signal transduction pathways regulate the level of PIP3 in response to extracellular guidance cues during filopodia motility. The accumulation of PIP3 in filopodia is suggested to cause actin polymerization and increased cellular movement. The levels of nuclear PIP2 increased significantly when DNA damage was induced using UV radiations. This elevation was absent when nuclear PIP2 lipids were sequestered by the overexpression of phosphoinositide (PPI)-binding PH domains. 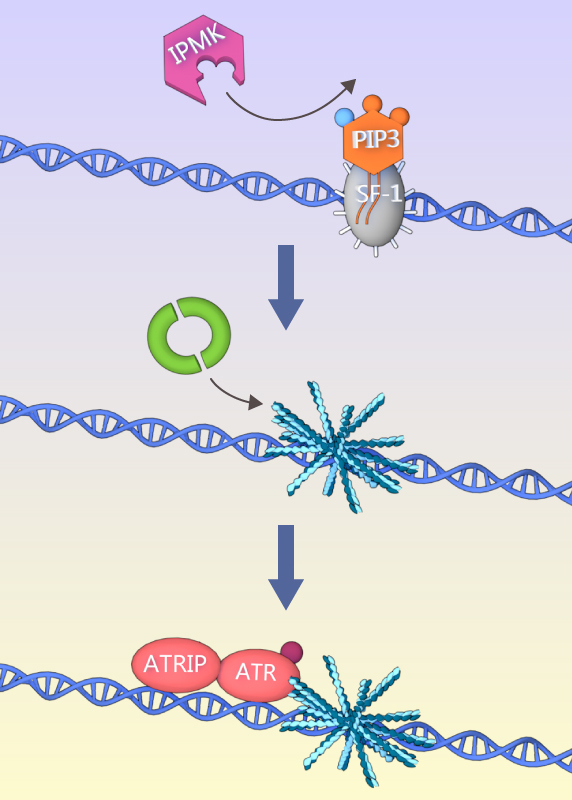 The sequestration of nuclear PPI lipids, especially PIP2 and PIP3, by the overexpression of PH domains inhibited the recruitment of the DNA repair protein, ATR, as well as ATR signaling components ATRIP and phosphorylated Chk. However, the recruitment of other DNA repair pathway proteins ATM and DNA-PKcs were not affected by PPI sequestration. There was a rapid accumulation of PH domains following induction of DNA damage due to the local synthesis of nuclear PPI lipids at the damage sites, to which the PH domains bound to. The lipid kinase, inositol polyphosphate multikinase (IPMK), was responsible for the metabolism of PPI lipids at DNA damage sites. Nuclear PIP2, which exists in a complex with nuclear receptor steroidogenic factor 1, was specifically phosphorylated by IPMK, and not by other classical lipid kinases such as PI3-kinases. The phosphorylation of SF1-PIP2 to SF1-PIP3, mediated by IPMK, was essential for the recruitment of ATR signaling proteins to damage sites. While the recruitment of ATR pathway proteins to DNA damage sites was inhibited in IPMK-depleted cells, the recruitment of ATM and DNA-PKcs pathway proteins remained unaffected. The recruitment of ATR to DNA repair sites was disrupted in cells treated with Latrunculin A, which is an actin polymerization inhibitor. This suggested that ATR recruitment depended on the polymerization of nuclear actin at DNA repair sites. The accumulation of nuclear actin filaments at DNA repair sites was abolished by the PH domain-mediated sequestration of PPI lipids, suggesting a role for PPI lipids, specifically SF1-PIP3 in mediating actin filament assembly through the recruitment of formins at damage sites. A picosecond UV laser was used to induce localized DNA damage. 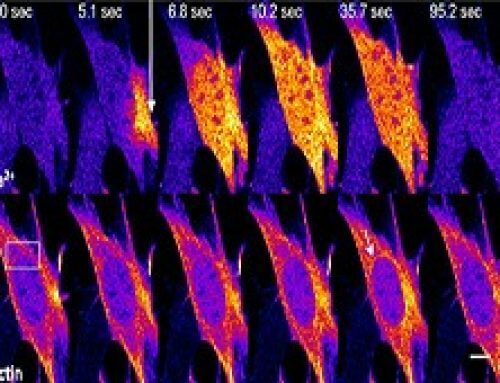 The dynamics of nuclear lipids and proteins following laser microirradiation was visualized using a high resolution confocal microscope. A UV lamp was used to induce global DNA damage following the sensitization of cells with Hoechst 33342. 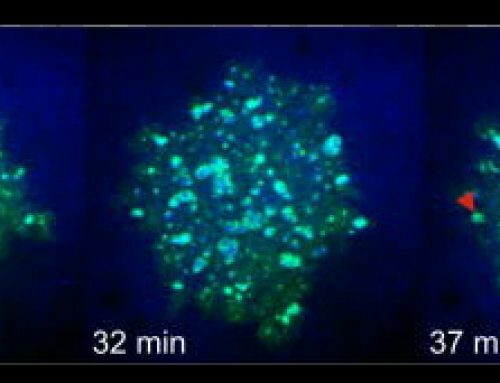 The localization of nuclear PPI lipids and DNA repair pathway proteins were visualized using immunofluorescence assays. Plasmids encoding phosphoinositide-binding PH domains were overexpressed in cells to induce sequestration of nuclear PPI lipids, in order to assess their role in the recruitment of DNA repair proteins to damage sites. 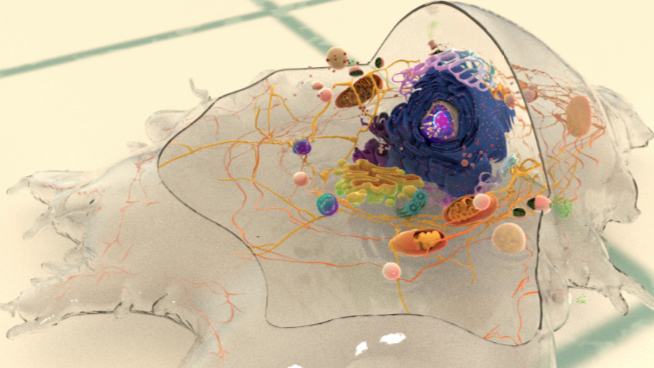 By describing a novel role for nuclear PPI lipids as upstream signals in the activation of ATR signaling, this study uncovers yet another layer of regulation in the robust self-repair mechanism that cells use to maintain genome stability. The study also opens avenues for formulation of treatment strategies that can target precise stages of the DNA repair process.